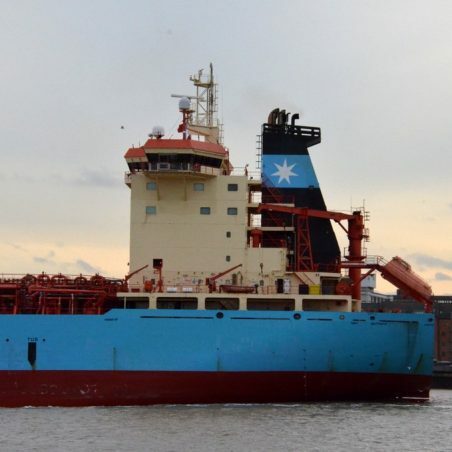 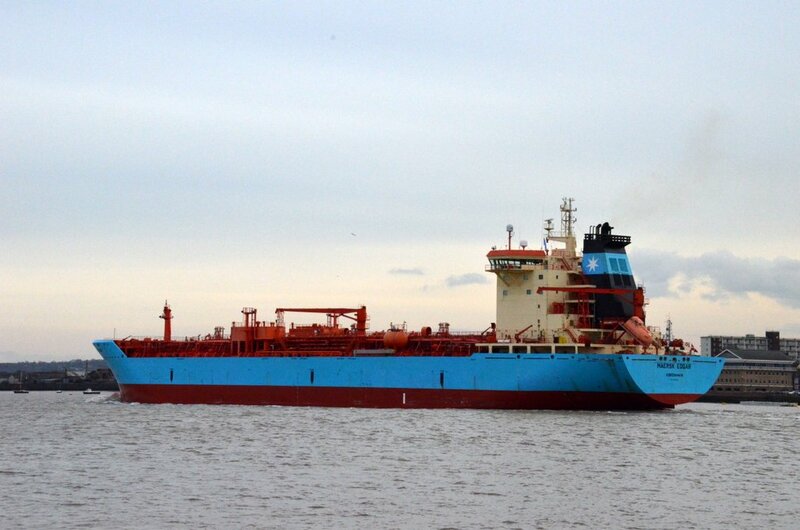 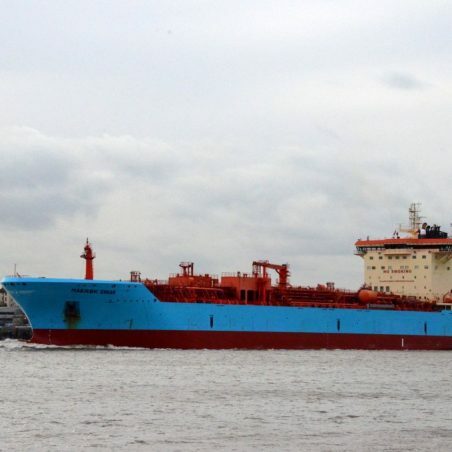 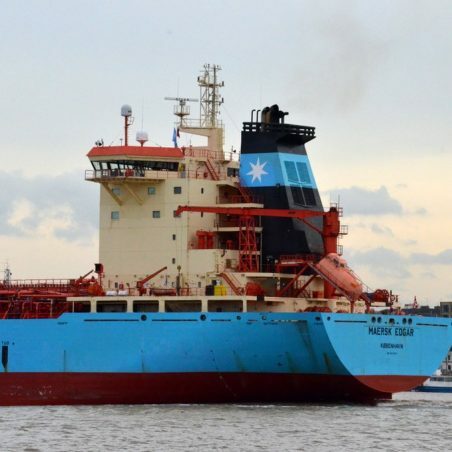 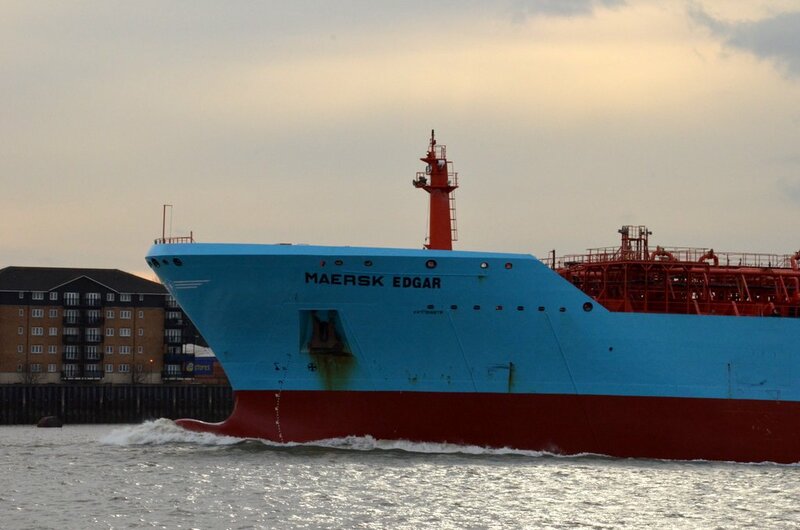 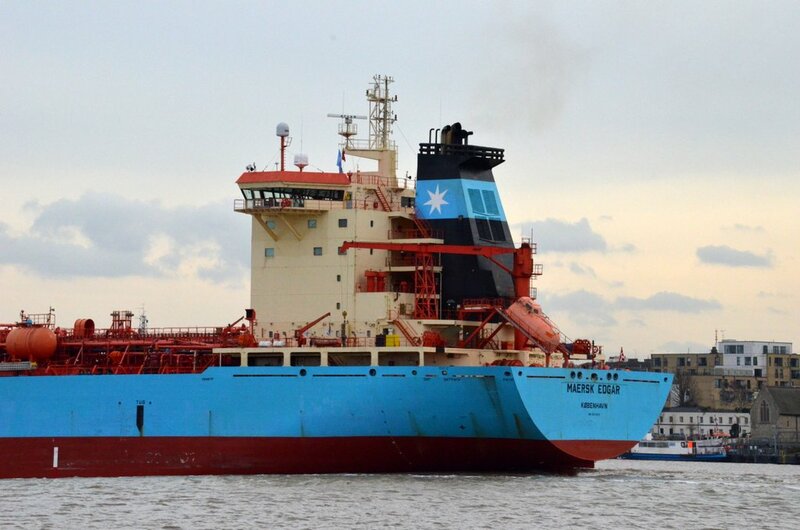 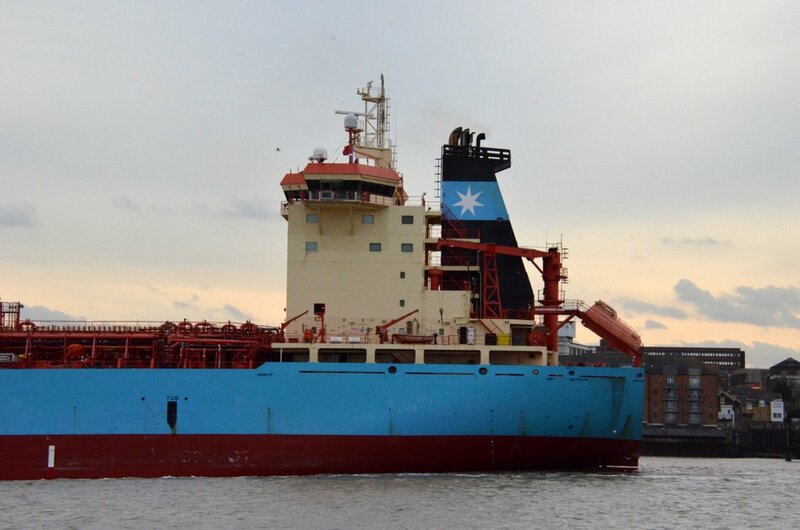 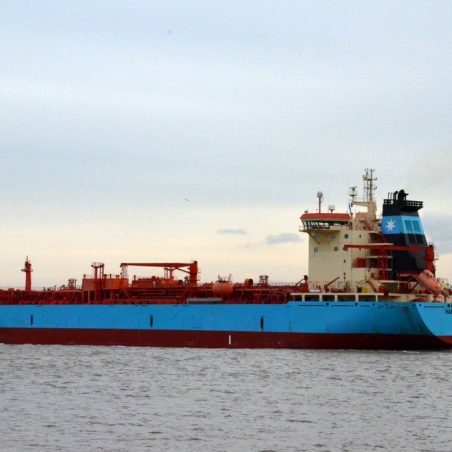 The chemical tanker MAERSK EDGAR on the Thames on 26/1/2015 leaving for the Russian port of Ust-Luga. 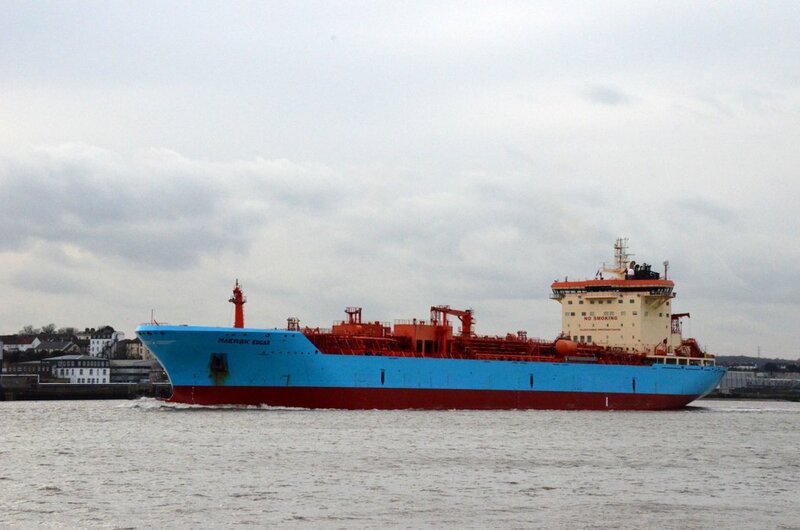 She was built in 2004 at 26,634 grt. 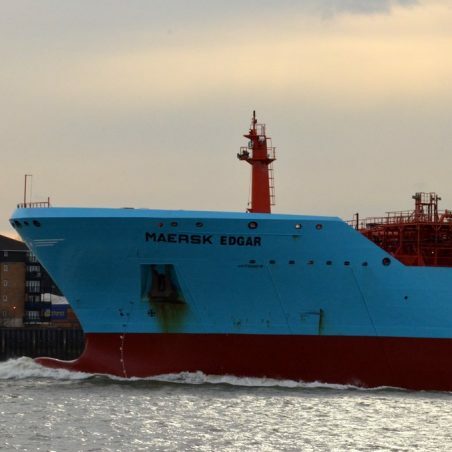 She was launched as the GEETESTERN and became the BRO EDGAR in 2010.